Once you have engaged a licenced Chapman Dairy™ builder we will get to work preparing working drawings and arranging building consents for your new dairy shed construction project. Once site preparation has been completed, one of our construction teams will swing into action. These teams have been trained to implement our specialised farm dairy building system and are all highly experienced dairy shed builders in their own rights. They will co-operate with other contractors working on the project, e.g. rotary platform constructors and milking machine suppliers, to ensure that everything needed for your dairy shed project is in place at the correct time. We only use the highest quality building materials, selected for durability and low maintenance in the demanding New Zealand environment. All wall surfaces are washable and easily cleaned. Stray voltage protection is built into our concrete areas and railings to ensure cows are not upset by small electric shocks before or during milking. 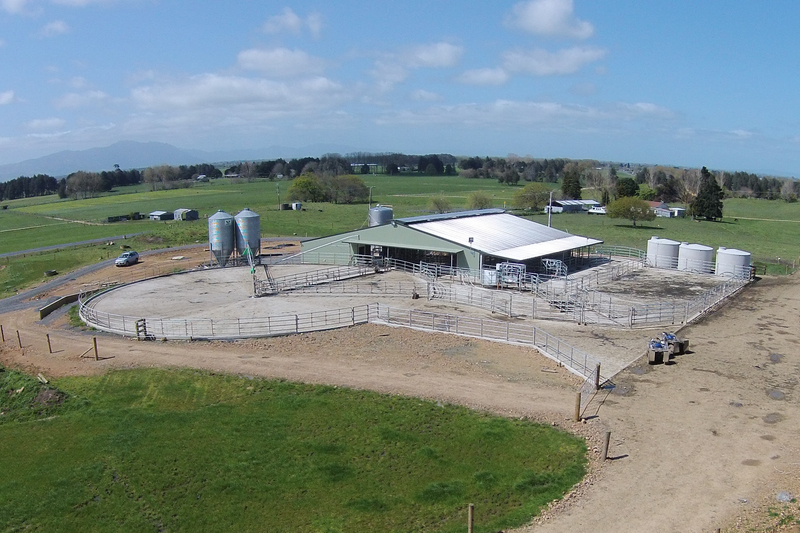 We have a network of licensed dairy shed construction teams located throughout New Zealand, all capable of building quality turnkey farm dairies to suit your individual dairy shed needs.